Can you settle your credit card debt for less? "Can you settle your credit card debt for less?" My friend Jeyta asked me to post this question a few days back. So, I'm posting this question for her in this forum to get answers. Is settlement done for less or the debtor has to pay almost the full amount? Settlement means that you can get rid of the account by paying less than what you owe. 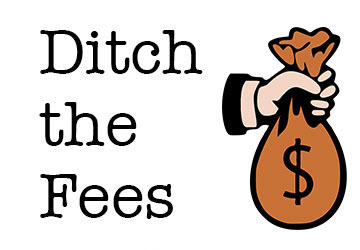 See, when you are taking help of a professional debt settlement company to settle your debts, you need to pay a fee. 2. A fee based on the amount you save. However, a debt settlement company can not charge an upfront fee from the consumer. I think if you want to settle your debts for less, then You go for do-it-yourself debt settlement. Negotiate with your creditors on your own instead of hiring someone else. Thus, you can save money to some extent. Depends upon the creditor and the amount of debt you have. Obviously, there is no point in settling debts if you don't save money. Jeyta has to pay tax if the total saved amount is more than $600. yes of course, I agree with ditchdebt..
You won't be needing a debt settlement service is you can't save a decent amount from there. But there are certain things you need to keep in mind. Don't wait until your account has been "charged off", it doesn't mean that you no longer owe the debt. If you are going to contact your creditors, do it as soon as possible. You already know if you save more than $600, you need to pay taxes. But if you just save only $1 (really??) you still get a hit on your credit score. There is chance that you can't settle all of your debts at a time.